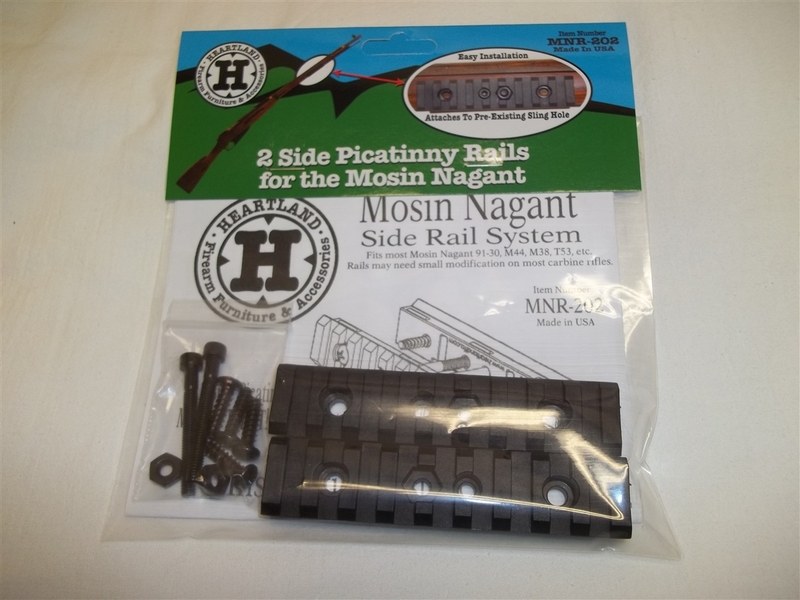 The Mosin Nagant Picatinny Rails System (MNR-202) is injection molded from glass filled nylon and is designed for easy installation to your Mosin Nagant. 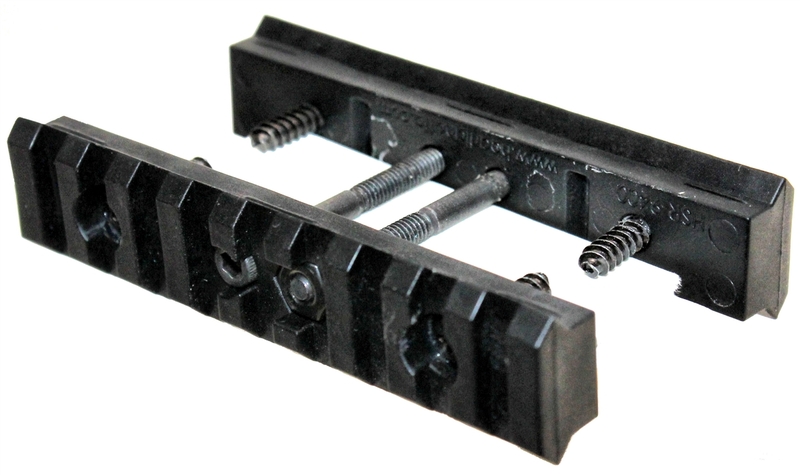 The rails can be attached thru most existing sling loop holes in the forend of your Mosin Nagant. 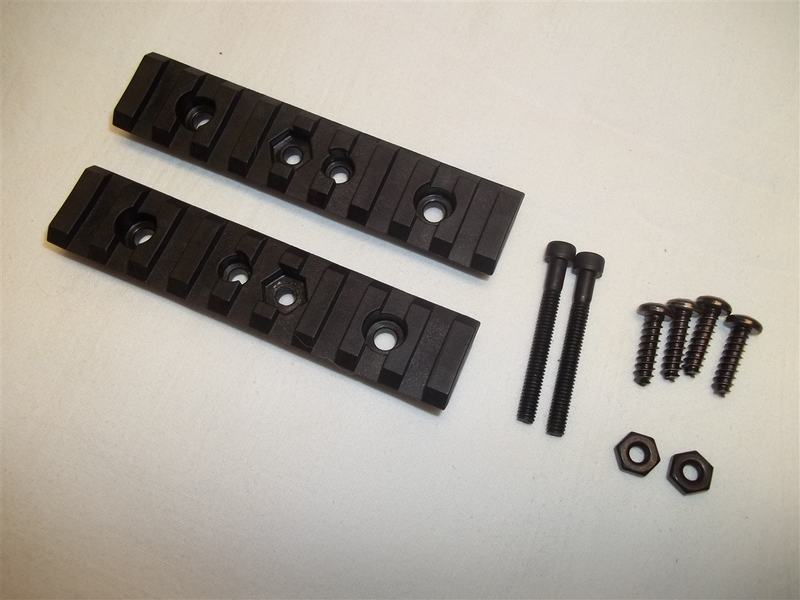 You can mount the rails anywhere on the stock to suite for preference but you will need to drill holes into the Mosin Nagant stock to do that. The MNR-202 is designed to fit all models and variations of the Mosin Nagant. Mosin Nagant's with permanently mounted bayonets will not be able to mount anything to the folding side. If you mount a light or laser on this side you can not fold the bayonet back. Small modifications to the rails may be required on most carbine Mosin Nagant models. Fits Most Mosin Nagant 91/30, M44, M38, T53, etc.